A lovely old oak front door opens to a beautiful, high ceilinged entrance hall. The Great Hall is 50 feet long and a fantastic space for entertaining. The two large oak doors open to reveal a vast room, with massive oak beams and a beautiful chestnut floor sourced from the estate). 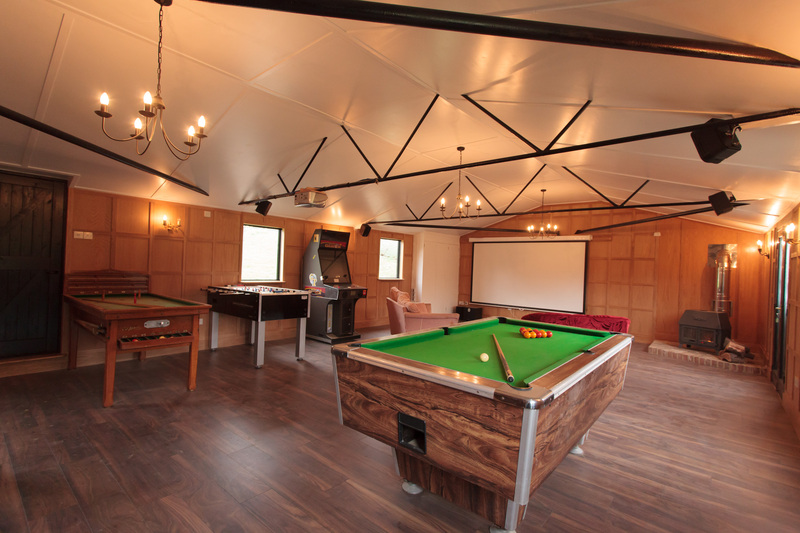 The room has three distinct areas: dining (table seats 16), sitting (with drinks cabinet and large sofas) and entertainment (with cinema screen and grand piano). On one side of the Great Hall are three sets of glass french doors leading to the enclosed courtyard and on the other side two sets of folding doors which lead to additional outside entertaining space, the Koi pond, lake and open countryside beyond. The Orchid bedroom suite is peaceful and calm with Japanese style décor. King size bed. Hanging space, Chest of drawers TV. This bedroom is luxurious and romantic with large mirrors and fairy tale lighting. 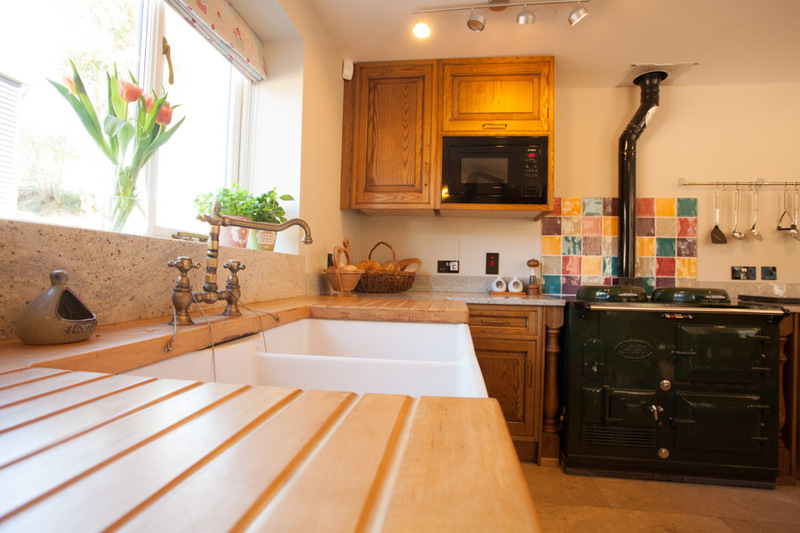 Large well equipped kitchen with 2 oven AGA, two conventional electric ovens, one with induction hob and one with gas hob, microwave, two ‘Fisher and Paykel’ dishwashers, American style fridge freezer with ice maker, drinks fridge, filter coffee machine. Seating for 10. The large sitting room is approached from the kitchen. This bright spacious family room has french doors along one wall which can be completely opened up to enter the enclosed courtyard. The sofas and armchairs are large and comfy surrounding the log fire. 65 inch TV. The hand-made oak staircase from the sitting room leads up to two further bedroom suites. A spacious, beautiful bedroom with chandelier, a super king size bed and one single bed. TV, wardrobe. 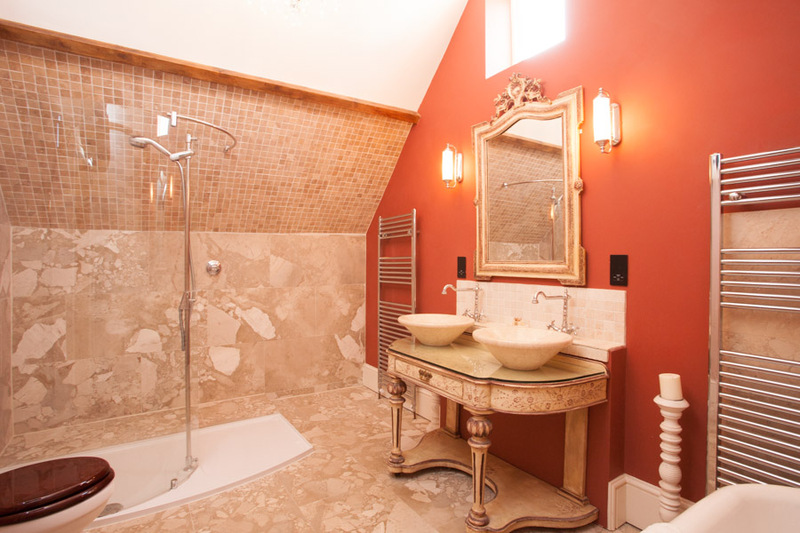 A stunning high ceilinged bathroom, roll top bath, french antique washstand with two basins and a walk in shower. A large ‘sunny’ bedroom with tones of the sea. King sized bed and one single bed. Hanging spaces, chest of drawers. To continue with the ‘sea’ theme this bathroom has a boat tub double ended bath, pebbled tiles, walk in shower and porthole lighting. 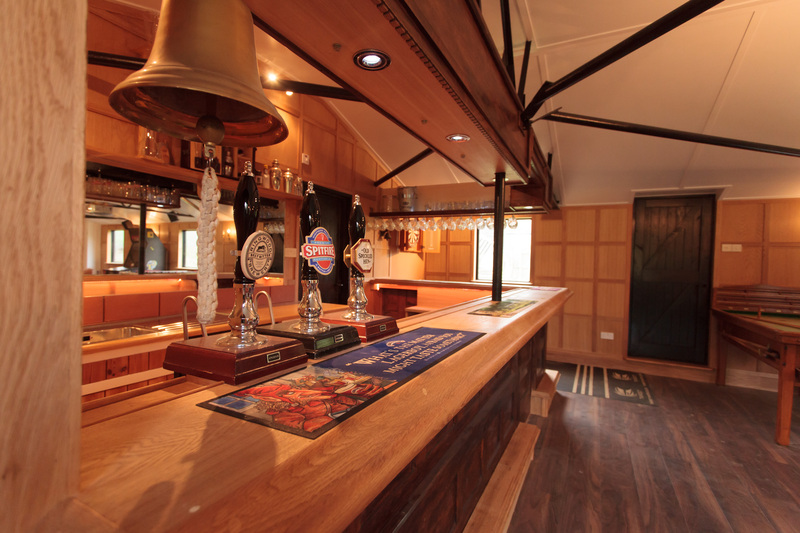 Opposite the Stables is the Hayloft which has been converted into spacious additional accommodation. Pheasant Suite: Bespoke walnut and beech double bed, ensuite shower room. ‘Bumble Bee’ Mezzanine level: Double bed and two single beds. Kitchen: electric oven/hob, dishwasher, microwave, fridge/freezer.